ust on the heels of the Kuwait Little Theatre’s fun production of Hairspray, there is still more musicals happening in Kuwait! Friday 3 June, Performance. Tickets 8KD adults/4KD children under 12.
orchestra, this will be a wonderful opportunity to experience an evening of musical theatre in the stunning new Performing Arts Centre at The English School Salmiya. 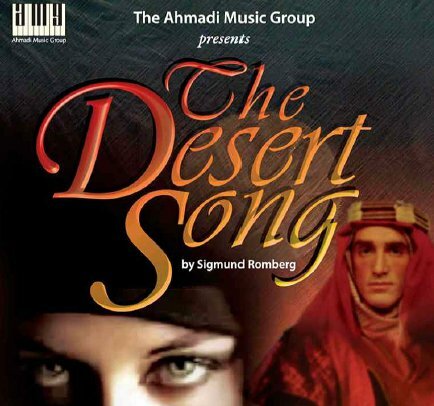 The Desert Song is one of very few operas in existence set in the Arab world. It tells the story of the efforts of the French in Morocco, in about 1910, to suppress rebellion by a band of desert outlaws, the Riffs. The stern General Birabeau is sent from France to be in charge of the combat; he is impatient that his son Pierre is not interested in soldiery. Only at the end does he discover that Pierre is secretly the dashing Red Shadow, leader of the Riffs. The production includes comedy, romance, warfare, and more romance. orchestra and dominated the charts. Most tellingly, it has been made into a full Hollywood film three times, making it one of the most sought-after theatre properties ever created. In 1929, it was the first all-talking Hollywood musical ever made. UPDATE: I took so many millions of photos, it’s been hard to sort out a few– it’s difficult to say which details should be left out of these beautiful cars! 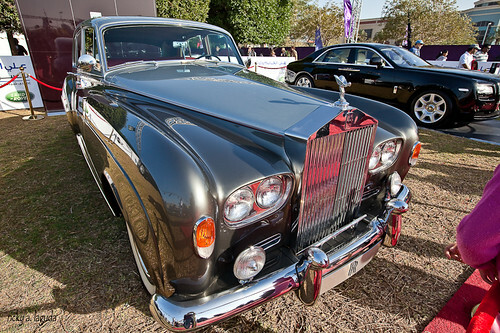 The show was nothing short of fantastic, with millions of dollars worth of some of the most beautiful cars in the world. Enjoy my album! 1KD =3.68USD YOU do the math! Vision SLR. Not part of the show, just there to see. Well, that’s my car on th ewall. Except mine’s better looking! It seems the season of automotive events in Kuwait, as we got to see the Gulf Run cars a few weeks ago, and in the next few days will have a motorcycle show and a concours event! Further, each day will feature it’s own theme, including Italian cars on Feb. 3rd, and the Kuwait Riders’ motorcycle show on Feb. 4th! For more details, see the CdE website or their Facebook page. How: Take 5th ring road East towards Gulf Road (25) and head North (left turn) until you see glass walkway overhead. Parking is freely available just beforehand on the right side. 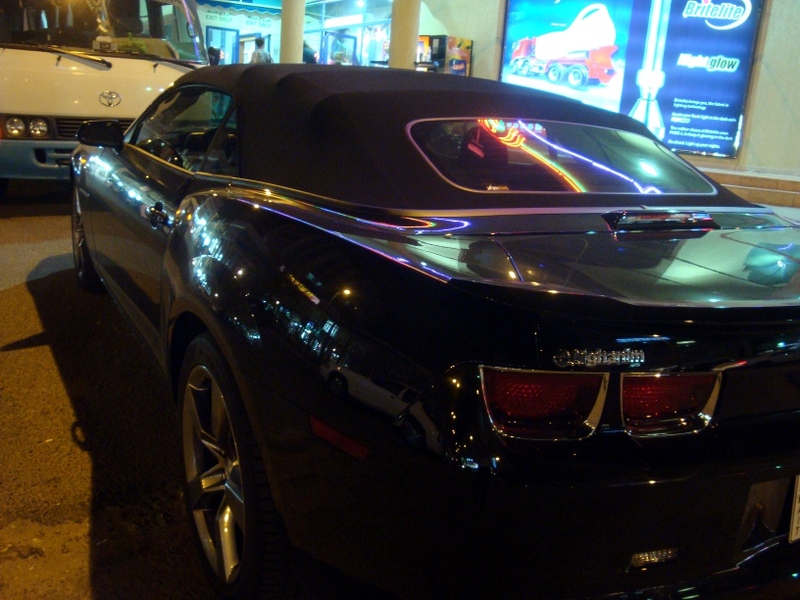 I had meant to post about this and the upcoming Concours D’ Elegance (next!) something like two weeks ago, and of course completely forgot shortly thereafter! Anyway, looking at Mark’s post on 248am reminded me so here it is. I R E A L L Y wish I had my motorcycle here! Have been considering buying one lately. I know the chances will increase if I get to go visit this! Taking place at the Marina Crescent mall on February 4th, 2011 between 1300 and 1700. There is more info at their Facebook and website. I came upon this exhibit happening at Sultan Gallery, opening on February 1, 2011. It looks like it could be interesting–seems like it might be a little less than pandering, in the season of euphoria that is the 50/20/5 celebrations that is starting off. I have never gone to the Sultan Gallery, but have read positive reviews of previous exhibits. Sabhan, Kuwait – February, 2011: Sultan Gallery is pleased to announce the opening of 50/20, a two-part exhibition featuring a new generation of artists who are challenging the construction of history through visual practice. “The question of how individual memory fits or, more accurately, does not fit with history is at the heart of the question here.” – Gayatri Spivak. As part of its mission to foment critical thinking through visual arts, Sultan Gallery has invited a number of artists, curators and similarly occupied individuals to superimpose their own visions of history in this exhibition commemorating 50 years of sovereignty within the State of Kuwait. The month-long exhibit will be held in February of 2011, with one opening on February 1st, and the second on February 15th beginning at 7pm. The body of work being shown in this exhibition acts as a kind of historiographical analysis over the development of the State of Kuwait in relation to the rest of the world. Artists here explore a number of topical, socio-political issues that analyze how argument [tradition] shifts over time in response to the changing conditions of market and state [flux]. How was Kuwait culturally affected by a financial grown spurt with the discovery of petroleum? Is the country’s social and cultural development up to par with the Dinar? What is art to a society like Kuwait? These are some of the questions addressed through a range of mediums including video, photography, sound, sculpture, installations, and even the incorporation of design for debate as an aesthetic in art. Works range from individual histories, to folk, fiction, and secularist landscapes that combat stereotype, stigmas, and dogmas. Sultan Gallery invites you to explore 50 years of independence, and 20 years of liberation through the eyes of the country’s young cultural cohort and protagonists starting February 1st 2011. So go and check it out! The whole piece is fantastic, and it runs four nights this week. UPDATE: Fist nights’ performance was fantastic. Thank you to all that could come, and I hope many more can for the remaining performances! and 8KD for Thursday and Friday. Buy them here to make sure you have them or at the door. Location of the Boy Scout Theatre in Hawalli is on Beirut Street, opposite to the shopping complex including Center Point, and adjacent to the Communications Tower. Coming from 40 is easiest–head East on Beirut Street and park in lot just after first traffic circle. Coming from 30, going West on Beirut Street you keep going past the KFC complex on your right and you will see the Boy Scout building marked clearly on your left in another few blocks. If you come to traffic circle, you have just missed it. Hope you can make it, and please let me know what you thought!